In developed countries, having clean water at your disposal at anytime is often just expected to always be available. Our water is collected and treated for us by treatment plants to remove contaminants such as heavy metals, bacteria and disease. It’s then delivered to our homes and the only effort required from us is to simply turn on the tap. It’s easy to see how clean water can be taken for granted and just assumed that it will always be there. During natural disasters, these services can be disrupted or compromised, causing the water supply to become contaminated or undeliverable. Quick water treatment solutions such as boiling or chlorinating water are only a short term solution and depending on the type of contamination may not even be useful. The importance of proper water storage for emergencies can sometimes be the difference between life and death. It is something that all households should be supplied with. A person can survive for weeks without food but can only last 3 days without water; it’s that important. When collecting water that isn’t meant for drinking, you can pretty much use anything to store it, but when storing water that is meant for human consumption, it is important to only use containers that are made with materials that are rated as food grade. Stay away from any container that has been used to store anything you wouldn’t consume, especially chemicals. 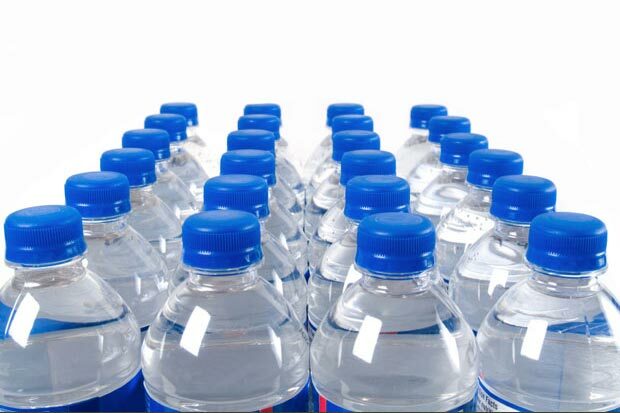 The easiest and probably the best way to store safe drinking water is to buy cases of bottled water from the store. The advantage to this is that everything is already properly sealed and separated into individual bottles for easy consumption. Also you don’t have to do anything to prepare the water and there is no chance of making mistakes that could cause problems later. The main disadvantage to bottled water is that it is more expensive than tap water. Another issue is that bottled water comes in thin clear plastic containers, which means they have to be protected from light for long term storage. Make sure to keep them in a dark and cool dry place like your basement or cellar. If you choose to use tap water, it’s recommended to use food grade containers that are specifically designed to store water. You can often find these containers at camping and sporting goods stores. Simply wash them out with soap and water, rinse and fill. If you don’t have much money and still want to store water, then your best option would be empty 2 liter soft drink bottles. To use these, after you have washed them out with soap and water, you must sanitize them with a solution of 1 quart water mixed with 1 teaspoon of non scented bleach. Shake the solution thoroughly in the bottle and then rinse the bottle out with clean water. Using any other types of containers is generally not recommended. If you must use something different, stay away from empty milk and juice containers as the milk proteins and fruit sugars in these bottles cannot always be completely removed, creating a potential hazard by providing an environment for bacterial growth. If you are using regular tap water, then you can simply fill your bottles and store them. Water coming from your local utility has already been treated with chlorine and doesn’t require any additional treatment. However, if you plan on using well water or any other type of non-treated water, it is recommended to add a couple of drops of non-scented bleach that contains 5.25 % sodium hypochlorite into your container right before sealing. Remember that stored drinking water has an expiration date and should be used and rotated regularly to make sure your supply is always fresh. 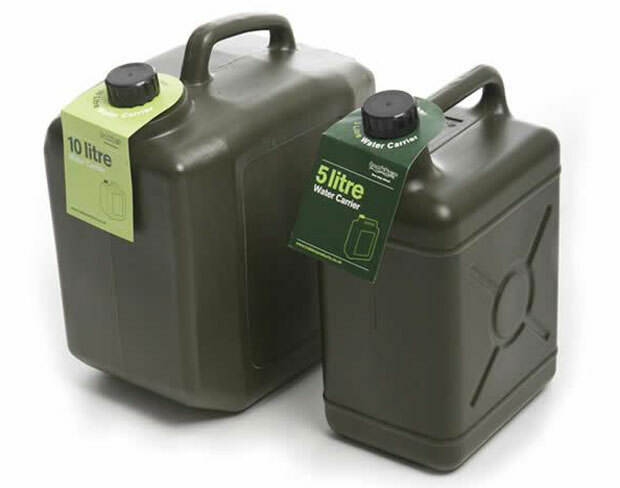 Your emergency water storage should be changed out every six months, so it’s a good idea to mark the containers with the date they were filled. Commercially bottled has an expiration date too that is printed on each bottle and may last a little long then water you have stored at home. Clean water is the most important components of an emergency preparedness supply. You will never know when a disaster may strike and it may never happen, but it’s always a good idea to be prepared anyway. Considering the importance of safe drinking water and the relatively low cost to store it, having an emergency water storage supply is never a bad idea. I’ve found that storing water in plastic 50 Gallon food grade drums works well as long as you invest in the proper type of drum wrench. I add the appropriate amount of water and replace annually. When storing these drums I place scrap 2×4’s underneath them so that they are up off the concrete and makes it easy to get a dolly under them. I have two ways to dispense the water on hand…one is a stainless steel pump that drops into and secures by screwing into a standard drum opening…the fallback option is a shaker siphon. Needless to say but I will anyway…make sure it’s a new drum or you know that what was in it before won’t poison your water. I buy barrels that were used to transport vinegar for just a few dollars each. Where do you find the vinegar barrels? I was able to luckily purchase 55 gallon barrels from an apple company. I have 2 in a barn for my horses, 1 in my pump house and 1 inside my house. For the last one, I put 2 pieces of 1/2″ plywood together and then attached 4 wheels on the bottom side, before filling the barrel. That way I can move it around if I need to. I have it in my mud room for easy access.